CP: Explain the concept of the Champions League and what makes it unique from other events. Dwyer: The Champions League is a select group of up to 30 teams that represent a tradition of past, present and future excellence in Level 5 Cheerleading and come together to host a competition of epic proportions. Not only will the teams compete across all divisions, but they will also compete across several formats (including All-Girl versus Co-Ed), with one overall Grand Champion. There will also be opportunities for teams not originally included to earn their way into the League. The bottom teams each year will be subject to attrition to allow for new teams to rise up and take their place. In addition to The Champions League competition, teams of all levels and divisions will participate in the event in a regular two-day format. The registration lottery will be open to ALL programs and teams beginning September 10 and conclude, at the latest, September 15. First registered, first to attend and space is limited. CP: How did Nfinity and GSSA/Aloha Spirit first forge a connection and decide to spearhead this event? Dwyer: Nfinity approached the gym owners first. After speaking with the gym owners and multiple producers to find someone that everyone felt would be a good partner, the league voted to select Tammy Van Vleet with Golden State Spirit Association and Aloha Spirit Productions as the event producer for the 2014 Champions League. GSSA/Aloha has a wonderful reputation in the industry and has turned out to be the perfect fit for this exciting event. CP: What is the format of the event, and how did you select Atlanta as this year’s venue? Dwyer: Teams will compete for the following honors: Champion of the All-Girl teams, Champion of the Co-Ed teams and Grand Champion of the League. In addition, the average score of all the Co-Ed teams will be tallied to compare with the average score of the All-Girl teams. The “team” with the highest average will be crowned each season. The two-day event will also feature teams in all divisions and at all levels and will be based on a 50/50 total for division championships. Atlanta is Nfinity’s hometown, so it felt right to kick-off this epic experience in our backyard. The plan is to choose a new city each year to host the Champions League. CP: How are the 30 Level 5 teams selected? How does the “League” come together? Dwyer: 2014 League members were selected based on a combination of the following factors: a) a culmination of the last decade of competitive success at events, and b) historical ability to attract a “fan base” from outside the respective team’s organization. CP: What will the prize(s) be? Dwyer: In lieu of traditional prize(s), the Champions League athletes decided to compete for charities. The winning team(s) will donate their prize money to the charity of their choice. CP: Talk about the open championship component and any other key parts of the event. Dwyer: An All-Girl Level 5 and a Co-Ed Level 5 team will advance to the Saturday night “show” from the competition on Saturday morning. The highest score from these divisions will compete in The Champions League on Saturday night as the Wild Card teams. CP: How did the idea crystallize to bring the event to the big screen? What can viewers expect? Dwyer: In the midst of formalizing a plan for an exciting and unique cheerleading competition, Tate Chalk saw something else. He approached some of the sports most decorated cheerleading coaches about the competition and saw fascinating stories unfold. With an eye for innovation and the unexpected, Tate then approached Fathom Events with a unique movie concept. He wanted to tell competitive cheerleading’s story to the world and showcase the athleticism & dedication that today’s cheerleaders possess. CP: How does the Champions League speak to current industry trends and where events are headed? Dwyer: We like to think of this event as setting a trend and raising the bar in the industry by giving the power to the people who have created these amazing programs. It has changed the dynamic of cheerleading and brought owners and coaches from different programs together as a united front to help spearhead growth and ensure a positive and lengthy future for our industry. CP: Where can our readers buy movie tickets? 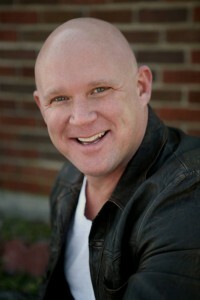 Dwyer: Tickets can be purchased at http://www.fathomevents.com/event/nfinity-cheerleading. Announcing our Young Entrepreneur Competition with Nfinity! Is your brain abuzz with a dynamite business idea? Do you think you’ve got what it takes to open an innovative cheerleading business or gym—and just need the resources to do it? We’ve got the goods to get you there, thanks to Nfinity’s Young Entrepreneur Competition. We’re partnering with Nfinity to offer this exciting new venture designed to help up-and-coming cheer professionals get started on their professional path. Prizes include a $5000 cash prize from Nfinity, booth space at multiple events, a print ad in an upcoming issue of CheerProfessional and graphic design services for your business logo and ad. So what are you waiting for? 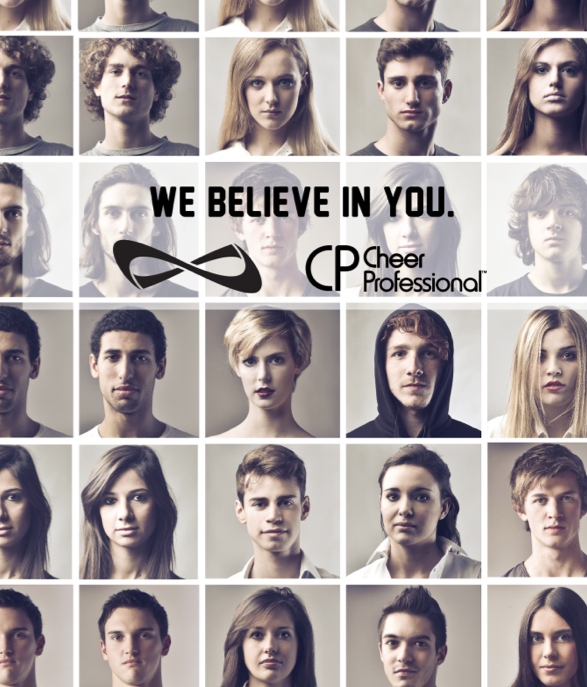 Go get started on your business plan to be the cheer industry’s next big thing! 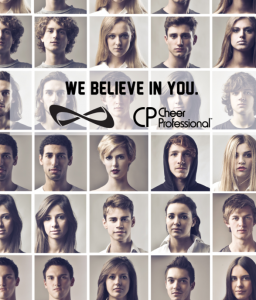 GrowCheer.ORG is a group of unrelated industry companies with a singular purpose – to grow the sport of cheerleading. As such, we believe that the first (and most important) step in fostering future growth in our sport is a FREE and INDEPENDENT United States All Star Federation (“USASF”). How are we going to accomplish this? Central to our plan is to replace the current loan(s) that the USASF has with Varsity Spirit Corporation and/or affiliated companies (“Varsity”). It is understood that the reason Varsity controls a majority of the seats on the USASF board and why Varsity owns the trademark of the USASF is to secure repayment of these loans. We firmly believe that in order to have a unified industry, no single organization should be unduly influenced by and/or controlled by another. We propose to assume the loan with essentially the same financial terms that Varsity has given to the USASF. We are prepared to do this immediately after the 2013 USASF Worlds competition. 1) Require an immediate external audit of the USASF financials by an independent accounting firm that we mutually agree on. We will bear the cost of this audit. This firm would determine the amount that remains outstanding to Varsity. The firm would examine the relationship between the USASF and the IASF and confirm that all monies paid to the USASF by American gyms would be used for the support of American programming, not international programming. The firm would examine the relationship between the USASF and the host site to make sure only the USASF received benefit from the relationship. 2) All USASF property held in lien as security for outstanding loans with Varsity, including but not exclusively intellectual property (i.e., trademarks), would be released to the USASF. 3) Immediate rewriting of the Articles of Incorporation, By Laws, and Operating Agreement to abolish all permanent Board of Directors seats and create a provision for an organized election to be conducted as soon as practical. The new Board of Directors would be composed of equal representation among all segments of our industry – gym owners/coaches, event producers and industry vendors. 4) Future production of USASF World competitions would be granted to a qualified event producer after an open bidding process administered by the Board of Directors. 5) The office and employees of the USASF would be moved to a neutral location in Memphis. If necessary, we would subsidize payment for the office space until it could be supported by the cash flow of the USASF. 6) After the first year, or as soon as practical, the Board of Directors would interview and select a professional management company to assume the day-to-day operations of the USASF. 7) The USASF would be reorganized as a 501(c)(3) non-profit organization that is recognized by the IRS as such. We believe very much in this industry and recognize Varsity for its past foresight and support, but we have come to a point where we can no longer afford to see our governing body indebted to and controlled by a profit motivated company with a clear conflict of interest. In a time when so many are calling for the industry to break apart into separate factions, we feel that the best solution is to step in and provide a practical way for there to be just one, FREE and INDEPENDENT governing body. And we believe that we have proposed a workable solution to this matter. Your acceptance of the above terms is expected by March 1, 2013 to GrowCheer@gmail.com so that we can make provisions for a seamless transition. United States All-Star Federation, USASF, ISAF, USASF Worlds, Varsity are all Registered trademarks of the Varsity Spirit Corporation, Memphis, TN. Nfinity Athletic Corporation CEO Tate Chalk brings to mind a scrappy Tony Robbins type rather than a stereotypical suit-wearing CEO. After all, this is a man who, when Nfinity was unceremoniously dumped from Cheersport, posted a digital picture of a “breakup tape”—accompanied by a list of songs such as REM’s “Everybody Hurts” written in girlish bubble letters — on Nfinity’s Facebook page and encouraged fans to submit their own favorite sad-sack tunes. Conventional? No. Memorable? Definitely. Speaking up and standing out have become synonymous with 25-year industry veteran Chalk and the Nfinity brand—and that’s the point. The one secret to success, Chalk says, is being original. Chalk has followed his “know what you bring” advice to the letter, taking his stints as a cheerleader at the University of South Carolina and the University of Kentucky and parlaying them into a lucrative career coaching the USC squad, teaching summer camps and owning cheer gyms. Then, in 2003, he developed his own cheerleading shoe just for women: Nfinity, a meticulously designed, spring-floor athletic shoe. The industry hadn’t seen anything like it. And Chalk was in a unique position to sell his vision. Now, almost a decade later, Nfinity Athletic Corporation is not only a consistent leader among the cheerleading shoe market, but has also expanded into basketball and volleyball shoes as well as other sports apparel. In 2009, Nfinity won “Business Innovation of the Year” at the American Business Awards, and the company has regularly ranked in the “Inc. 5000” list. Though the risks eventually paid off, the early days weren’t without their setbacks. When Chalk was first hawking Nfinity cheerleading shoes, he had only one model pair of shoes and 150 promo T-shirts to try and make his case for the product. But Chalk stayed the course, dead-set on making it work. Though his cheer background certainly played a role in his dedication, he attributes his choice of all-star cheerleading as an industry to study and dominate to a deeper reason: the spirit and drive of the people involved.